Provost Jody Funion has been hiding something from the Capital community. 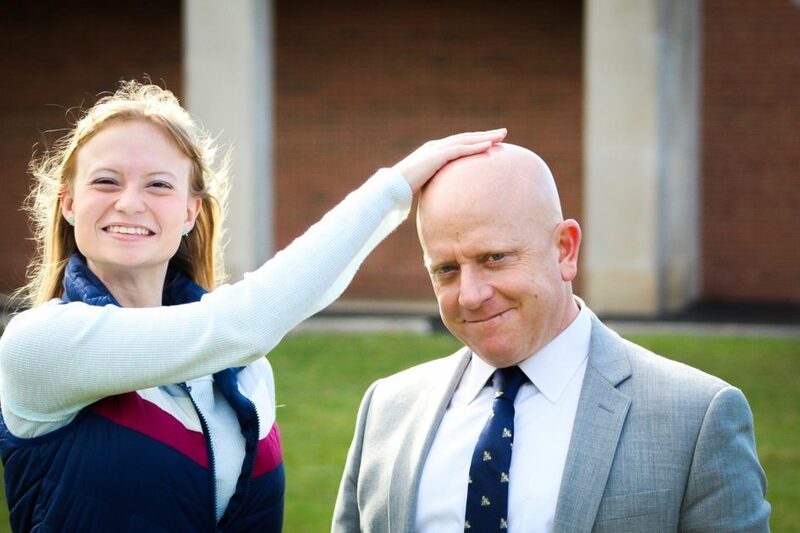 Although his trademark bald head is well-known on campus, few students are aware of its true power: rubbing Funion’s head immediately grants good luck on an upcoming exam. Whenever Funion was particularly stressed and allowed his hand to touch his head during an exam, his resulting score would be unbelievably high. As a student, Funion relished in this newfound talent, sharing its glory with his closest friends, who all enjoyed the straight A’s that accompanied a quick head rub. “Personally, I believe my superpower to rival those of the Avengers,” he said, looking back on those glorious weeks following the discovery. All too soon, however, disaster struck. As more and more people learned of Funion’s gifts, they began swarming him, straining for even the slightest brush against that magical head. For when Funion was recognized, people fell upon him like a pack of wolves. Word even spread to other campuses, and college students from as far away as UCLA travelled to Columbus to share in the luck. After completing college, Funion withdrew to Bexley, trying to reconcile himself with the harrowing experiences. He decided to tell no one of the ability, and it has remained hidden—until now. While visiting Blackmore Library recently, Funion observed two students sitting on the second floor, reading biology textbooks while tears streamed down their faces. When he asked them what was wrong, they replied that their lab practical was the following day. After witnessing this, Funion was wracked with guilt. As provost, he has worked tirelessly to help students. How could he now withhold the luck of his head from them? Funion is proud to announce that he has partnered with the Academic Success office to make head-rubbing available to all. In order to help avoid chaos, however, each Cap student will only be granted three scheduled head rubs, as well as an impromptu one, each semester. Funion’s office, located in a yurt on Schaaf lawn, has been expanded to better manage the traffic. Funion is excited about this new development. “I feel as if a weight has been lifted off my chest,” he said. “Finally, I can share my secret with the world!” In order to be more accessible to students, he plans to sit by the fountains during finals week. The benefits do not end after graduation; a Funion bobblehead will be presented to each graduate from Capital. Although the figurines will not be as powerful as Funion himself, he promised to personally bless each one.